Well, folks, last week's screening marked the end of another season for us. Our last film was a debut feature, a multiple award winner, and a charming leave-off point. The Happiest Day in the Life of Olli Mäki, alternatively entitled Hymyilevä Mies or Smiling Man, is a sympathetic portrait of the historical and personal circumstances surrounding Finland's Olli Mäki's World Featherweight Championship match against America's Davey Moore in 1962. This is a subtle and evocative period piece, with Kuosmanen's choice of 16mm black and white reversal film adding beautiful tone and texture, further establishing that 1960s atmosphere. The story goes like this. An up-and-coming small-town boxer gets a shot at world renown. What Olli needs now is the focus to become the alpha hero his country believes he will be. Instead, he falls in love with Raija. It reads like a familiar plot, but the film's approach is refreshing. Boxing and romance may be central here, but this isn't your standard boxing or romantic fare. It's a character piece, dealing in the gap between societal expectations and personal fulfilment when both are at odds. Jarkko Lahti stars as the titular boxer, Olli Mäki. Kuosmanen grew up in Kokkola, Mäki's hometown. In an interview with Cineuropa, the director reports overhearing a conversation in which Mäki was quizzed on his experience of what was described as a catastrophe. The man marketed as a national legend, the next world champion, went down that momentous day in an astonishing two rounds. The boxer's response? “It was the happiest day of my life.” In a world of sports movies driven by narratives of overcoming adversity through force of will, of doing one's utmost to 'make it', to prove oneself according to the rules of the sport, of fame, and of the hero stereotype, Mäki's feelings seem quite a reversal. This narrative switch was an ideal set-up for Kuosmanen, who originally balked at the idea of another boxing film. He was drawn to the peculiar mismatch of Mäki's humble personality to the demanding, carnivalesque world of sports fame. Oona Airola co-stars as Raiji Mäki, the woman Olli falls for. We get a glimpse of a man who had no interest in being the machismo icon the public wanted. He was reluctant to knock his opponents out, a quality not exactly complementary to the sport. What he wanted was to be left alone to enjoy a life not defined by the pressures of cultural notions of success. This is the unique charm of the film. This boxer doesn't fight to prove anything. The anticipated match is not a metaphor of triumph over oneself. There's no onslaught of violins cued to evoke our emotion. Kuosmanen achieves empathy simply and masterfully. He avoids the standard tropes in favour of more inclusive questions of fulfillment and the ways in which we define this for each other and for ourselves. Thanks to each of you who came out for this round of films, stayed for the events, gave us feedback, and helped support independent screenings in Halifax. We love you for it and will see you again soon. If you want to keep your ear to the ground for the next batch headed your way in September, sign up for our newsletter. Imagine how unnerving it would be to listen to Dr. Frankenstein talk about his monster as if his monster is a goofy pet that just learned a new trick, the ol’ rascal. This is a lot like what listening to David Lynch talk about his artwork is like. We screened David Lynch: The Art Life on Friday night at Carbon Arc. This documentary, by the same team that made Lynch (One), focuses mostly on the director as a painter. Narrated in episodic anecdotes by Lynch, the film takes us from the director’s childhood to the production of his first feature, Eraserhead. It’s funny and alarming to hear Lynch describe a rather idyllic childhood and subsequent angst-ridden years as a teenager and young man in his fragmented, nasal cadence, knowing how bizarre and horrifying the products of his work are. There is one scene in which Lynch tells a story about his father visiting his home in Philadelphia. Lynch takes his dad to the basement to show him his experiments - old food and dead bugs which Lynch left out to observe their decaying process. Lynch recalls that he realized his dad misunderstood this as some sort of sick project. This is where one would expect the director to correct the misunderstanding. Instead, the story just kind of ends. It was at this point in the film that a woman sitting in front of me turned to her friend and asked if she wanted to leave. Archival footage of the filmmaker and artist as a young boy. The Art Life shows Lynch's life-long passion for painting, portraying a side of the artist often overshadowed by his career as a filmmaker. It offers an entertaining insight into his artistic process, albeit at the expense of forcing you to imagine David Lynch as an innocent child. Join us at Carbon Arc Friday, April 21 at 7pm for Citizen Jane: Battle for the City, a documentary feature about Canadian-American author and activist Jane Jacobs. The next night, at 7pm, we will screen the 18th Annual Animation Show of Shows, a curated program of award-winning international animated short films, including a recent Oscar winner and nominee. Finally, on April 28 Carbon Arc will end its winter season with a double feature of Finnish festival darling and Cannes screened The Happiest Day in the Life of Olli Maki and the return of everybody's favourite cat documentary Kedi - these kittens aren't quittin' (I'm sorry). Hirokazu Koreeda’s After the Storm breaks your heart in that particular way that your family can break your heart through the most trivial moments. This Japanese drama, which we screened on Friday night at Carbon Arc, tells the bittersweet story of a man who yearns for the past. Ryota, played by Hiroshi Abe, is a divorced man still in love with his ex-wife, a novelist who has never again achieved the success of his first book, a father who can hardly pay the child support needed to see his son, a freelance detective and unlucky gambler. In one scene in the film, Ryota’s son asks him if he grew up to be who he wanted to be when he was younger and Ryota responds, “I’m not who I want to be yet.” This, perhaps, is the theme of the film. Shinoda Ryôta (Hiroshi Abe), Shiraishi Shingo (Taiyô Yoshizawa), and Shiraishi Kyôko (Yôko Maki) in Hirokazu Koreeda's After the Storm. A typhoon brings Ryota’s estranged family together under one roof for a night. The unforced, intimate dialogue between characters who love each other, who are hurt by each other, who can’t do more for each other, offer a tattered family portrait of a tattered family. Humour and pain both break through in these conversations and it is the complex relationships between characters that hold the film together. After the Storm is quiet, meditative and melancholic. The Halifax Cat Rescue Society joined us to fundraise at our third sold-out screening on Saturday night. Kedi seems to be receiving the warmest welcome of any film Carbon Arc has screened yet! If these are to be taken as worthy indicators, it seems that the cat love is strong here in our hometown. Cats may be treated uniquely in Turkey, but the bond is apparently international. I know what you’re thinking: why would I watch a movie about cats when Youtube exists? No disrespect to the wonders of the internet, a seemingly endless source of adorable and zany feline feats, but these cat videos tend to lack both style and substance. The production value is low and the pleasure is fleeting. This is not so for Kedi. Ceyda Torun’s documentary film follows the story of seven Turkish cats and the humans who love them. However, these cats are not pets; they are the free-roaming descendants of cats who came aboard ships from all over the world to make a home in Turkey. These creatures are distinct, but not entirely dissimilar to that of sacred cows; they are to be cared for, but their independence is to be respected. This is perhaps one of the greatest lessons one can learn from the film – how to care for something or someone without ownership. Whether interacting with nature or humans this lesson is indispensable. In the case of the former, the parallels are evident, but subtle. The cats are placed in an increasingly precarious position by urban modernization. In a busy street marketplace with shop owners familiar with the creatures, cats are familiar, safe, and taken care of. Once construction begins to establish malls and supermarkets, this is not the case. The consequences of human progress’s inconsideration leave nature in a lurch, just as these cats are left. I know what you’re thinking now: all of your waxing philosophical is great, but I don’t love cats for their cutting cultural commentary! Worry not, dear reader! This is all presented in a nuanced and often unspoken fashion in the film. Front and center here are the stars, the wonderful cats. Torun and her crew employ everything from handheld kitty cams, to night vision, to drone footage to create what feels like an excellent nature documentary on creatures we are used to seeing domesticated. Whether these cats are pawing at restaurant windows, fighting the new cats in town, or visiting their favourite humans, they remain charming and endearing. They’re handsome, absurd, and a wonder to behold. The film captures the minutiae of the cats lives while also feeling somewhat epic in the grand cityscapes in which they climb, roam, and burrow. You haven’t seen a cat video like this, I promise. Kathryn Calder of The New Pornographers in A Matter of Time. Most often films dealing with illness tell you stories with very little hope, but this is completely not the case with Casey Cohen’s A Matter of Time where you’re left feeling overwhelmingly moved by the legacy Lynn Calder had left behind when she passed in 2009 after her two-year battle with ALS. Kathryn Calder’s story is one filled with a series of incredible events, from starting out in the successful indie-pop group Immaculate Machine with support from her mother, to the entire story that lead to her becoming a member of one of the biggest Canadian groups of all time, The New Pornographers. The fact that Lynn was able to reconnect with her biological family after such a long time was arguably the most amazing part of the story. We then go from watching a family thriving and happy to all of a sudden having everything ripped out from underneath as the Calder family learns of Lynn’s ALS diagnosis. This is where you would expect to be thrown into a world of sadness, instead you watch as Kathryn along with her huge support system work to make Lynn’s last years as special as possible, and succeed fully. The album produced is beautiful and personally the title Are You My Mother? felt very fitting as Kathryn herself seems to be everything that her mother was; talented, selfless, and giving. The film was filled with gorgeous footage of life in Western Canada and the choice to use the device of recreation for the shots of Kathryn and Lynn were done perfectly and made your connection to their story even stronger even if you, like myself, don’t have any particular experience with that type of situation. It also helped to have the back story of Lou Gehrig as context, and as Gehrig said in 1939, “I close in saying that I might have been given a bad break, but I've got an awful lot to live for.”. Don’t forget to join us this Friday, April 7th for two new exciting features! After playing Cannes, TIFF, and most recently Sundance, along with garnering an Oscar nomination for Best Animated Film, we have Ma Vie de Courgette at 7pm. Then at 9pm is another Cannes-premiered film, A House on 41st Street. As with all of our special presentations of Iranian films, tickets will be $13 for this screening. Then next week, we have the documentary David Lynch: The Art Life, the critically-acclaimed documentary about the world-renowned filmmaker and artist. Get your tickets early, because it will be a popular one! Last Friday night Carbon Arc screened the darkly charming foreign language Oscar nominee, A Man Called Ove. Written and directed by Hannes Holmes, and based on the novel by the same name, this Swedish drama tells the story of a widowed man who only wants to join his wife in death. Ove visits the grave of his dead wife regularly and promises he’ll be with her soon. Sounds depressing, right? The only problem is that Ove is just not very good at dying. Apparently, if there’s one thing Ove cares about more than dying, it’s cars driving on a no-cars-permitted pathway. So, Ove must interrupt his many suicide attempts to deal with his tedious day-to-day tasks of yelling at cars and begrudgingly lending ladders to neighbors. Ove is the ex-chairman of a board for the neighborhood association, a title he had self-imposed for a job he invented, and continues to take gravely (get it?). Essentially, Ove is the bitter 59 year-old equivalent of your middle-school hall monitor. A bitter Ove (Rolf Lassgård) stands in the middle of the gated community pathway where cars are prohibited. Through his failed attempts at killing himself, and his growing friendship with a new neighbor and her family, we learn about Ove’s past: the tragic death of his mother, the fraught relationship with his father, and the love he has for his wife Sonja. The film jumps between flashbacks of Ove’s past as he narrates his life to his new neighbor and his present trial and tribulations. In this bleak story are moments of joy and laughter, of friendship and of love. Ove is the surprisingly sweet Grinch who’s heart, we learn literally and ironically, is just too big. Main characters Blaze (Andrew Gillis) and Nessa (Bhreagh MacNeil) of Ashley McKenzie's debut feature Werewolf. If you've ever had the pleasure of watching any of Cape Breton director Ashley McKenzie's work, you know how well she creates storylines that focus on trying and seemingly hopeless situations. What she does even better though, is she creates truthful characters who have a strong sense of independence, never letting them fully succumb to their surroundings. The greatest example of this with her short films being Stray (2013), but this all has been perfected with her phenomenal first feature Werewolf that we screened this past Friday evening along with a Q&A afterwards with Ashley. 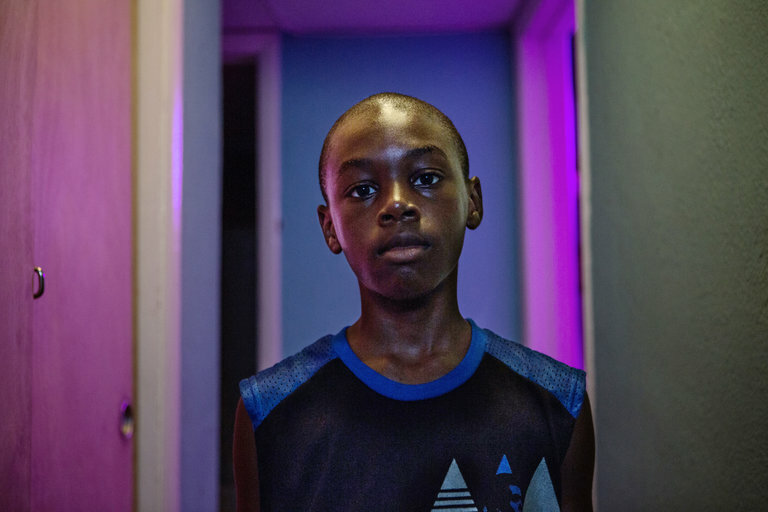 Werewolf follows the often overlooked stage of addiction, recovery, and as senior programmer Zack Miller pointed out in his review of the film during the Atlantic Film Festival, the unique framing helps to humanize these people for the audience rather than making them out to be monsters. The film centres on the lives of Blaze and Nessa, two recovering addicts who both in their own ways find themselves stuck. Blaze is too proud to let anybody tell him how to be, and takes it upon himself to lash out at anybody with an ounce of authority, automatically assuming that they’re looking down on him. We see many telling moments illustrating his selfish nature, his only moment of remorse being his reaction to his rash decision to destroy the couple’s only source of income, their lawnmower. It comes at point when hardship upon hardship has fallen on the couple and he breaks, berating himself afterwards which doesn’t necessarily feel as though he’s upset for anybody but himself. As independent as Blaze is though, and whether he cares to admit it, he relies heavily on Nessa. Contrasting Blaze’s type of independence is Nessa and her quiet kindness and sense of responsibility that keeps her behind in her journey of recovery. She’s the stronger of the two, consistently being the one to work and is the sole reason that the couple are still afloat. As Nessa is confronted by her nurse after having her at-home doses being revoked due to Blaze stealing them, it becomes extremely clear how unfair it is to ask this girl to give up on the one person who understands her struggle and she loves. At the same time, it’s also clear that she’s being unfair to herself by letting him hold her down. Watching her leave Blaze the first time when she kicks him out of her mother’s house was empowering. Watching her leave him after he is released from hospital was even more satisfying, finally she’s free to explore the life ahead of her. Werewolf was an incredible first feature, and feature film period, and its success worldwide is no surprise to anybody who has seen it. Carbon Arc will be taking a short March break, but fear not, we return March 24th with the environmental documentary Call of the Forest: The Forgotten Wisdom of Trees as well of an encore screening of the wildly popular cat documentary Kedi on April 1st with proceeds going to the Halifax Cat Rescue Society! As lovers of film, we here at Carbon Arc look at Oscar night with a certain amount of respect. It's a night dedicated to celebrating films, some of which would not get widespread attention otherwise. Carbon Arc's programming often overlaps with the Academy's picks; we recently screened Best Foreign Language Film nominee Tanna, and this Friday, March 3rd we will show another of the nominees at 7pm, Sweden's A Man Called Ove. Kirsten Johnson's debut documentary feature Cameraperson screened in our fall season of films in 2016. We liked it enough to honor it with our Best Documentary, Best Carbon Arc Screening, and Best Editing awards. The story of a relationship struggling under the stress of a shared methadone addiction, local film Werewolf was our favourite Canadian film of the year. Join us Friday, March 3rd at 9:30pm for a screening of the film, fresh out of Berlinale. Writer/director Ashley McKenzie will be present for a Q&A. Although the Academy nominated Isabelle Huppert for her work in Elle, we preferred her performance in Mia Hansen-Løve's Things to Come. Park Chan-Wook's gorgeous romantic period thriller was shut out of the Oscars technical categories, but we couldn't resist it's cinematography. Mary Zophres – Hail, Caesar! While writing, directing, producing, editing, scoring, and set designing, The Love Witch's Anna Biller also found time to design our favourite costumes of the year. The film had a special Halloween screening at our cinema last fall. 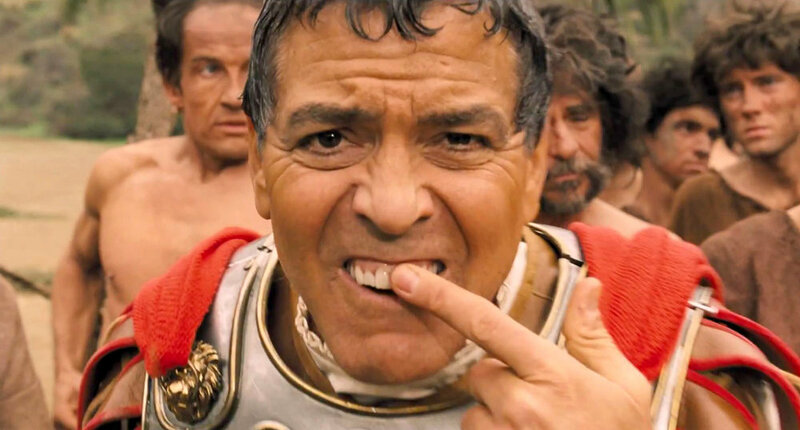 George Clooney breaks the fourth wall in the Coen brothers underappreciated film Hail, Caesar! WINNER: Jess Gonchor – Hail, Caesar! We hope you enjoyed our picks for the year! If not, we are always happy to discuss at our Friday night screenings!